It’s my tenth (new music radio) birthday this year! 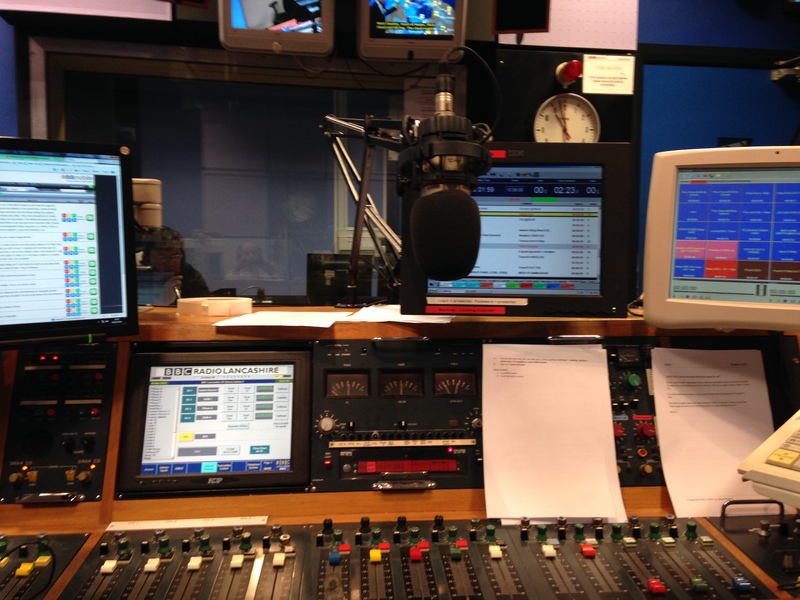 About ten years ago I pitched John Clayton (the Editor of BBC Radio Lancashire) about doing a new music radio programme and how BBC Local Radio could help young artists get their music be heard. Strange but true, he agreed, so a 30 minute new local music programme began. Sourcing the tunes back then was an interesting challenge but Myspace had recently launched and it wasn’t that long before I would have access to more local bands and artists than I could ever have dreamt of. I called the programme BRYAN which made little sense then and even less now but there it was. A while later (events are somewhat blurred) I was allowed to have an hour of radio to play new music as there was so much great new local artists to play and it appeared from the figures that people were listening. Then BBC Introducing (the new music ‘brand’ from the BBC) was born in 2007 with a very similar brief to BRYAN but with a ton of talented people and a large wedge of cash to do some big things with. BBC Introducing Lancashire moved to a Thursday evening between 8pm and 10pm and began bringing bands and artists in for live sessions in the BBC Radio Theatre. This was with no money and little support but it was felt we should have live music. The programme was extended from 1 to 2 hours and it was during this time BBC Introducing Lancashire was the most listened to programme on the radio (yes all radio stations) in Lancashire on a Thursday evening. So yes, we beat Zane Lowe, Radio 2, Radio 4, 5 Live et al. Over a year ago, we had the command from above (it wasn’t a dove) to move all BBC Introducing programmes across the BBC network to a Saturday evening at 8pm. This was another challenge as we had to try and unearth a new Saturday audience on a night not exactly known for breaking RAJAR records. That work continues as we do more outside events and meet more and more people and tell them when we are on! To be clear though I never did understand the mass move command to a Saturday night. It made little sense for me as our programme was doing great with listening figures and Thursday just seemed a more natural night for the programme. Over the years we have played a lot of great artists on the radio before anyone else had even heard them! Karima Francis, Rae Morris, Bondax, Mike Dignam and The Heartbreaks to name but a few. This is great and I like to keep in touch with them all but we as a programme are on a constant hunt for new music. So ten years in to this journey and I am working on a BIG GIG and a few smaller ones to get some great new artists together on a stage in different places across Lancashire. Also pull together the creative industry in Lancashire for a big chat on the radio. I’ll let you know here and on BBC Introducing Lancashire what we are doing and when but I’d love to see you there. The BBC doesn’t spend a lot on BBC Introducing in the regions and my team of helpers is made up of people who volunteer their time. They gain (I hope) good experience and a number over the years have ended up working for the BBC. That is great but this is an area of the BBC that needs more local investment so we can get out there and really connect with artists and audience. BBC Apprentices – there’s a recruitment campaign afoot to recruit local BBC Apprentices (great idea) but why on earth is BBC Introducing not at the forefront of that? So those skills and talents can be used in an area which has almost no investment from central BBC Introducing or in fact any part of the BBC. New music by its very definition is about NOW. As I plan out the next 6 months of events and gigs I hope we will put on some artists that (as I write this) I don’t know exist. Big thanks to my team of helpers over the years and now and especially a big thank you to John Clayton the boss guy at BBC Radio Lancashire for letting me come up with a mad programme idea, letting me do it my way and giving so many local artists over the last ten years the opportunity of their first radio play. Long may I be blessed to continue working with the brilliant young creative and musical types of Lancashire and thanks for reading, listening and supporting local music.